What piece on the program are you most looking forward to sharing with our audience? “Jeanne d’arc au bûcher” (Joan of Arc at the Stake) is a French song by Franz Liszt. Joan is preparing to walk to the pyre to be burned alive at the stake. You get to experience all the emotions of her fears and her faith as she ascends the platform, and then passes into heaven to find her eternal reward. Every time I sing this piece, I have to stop for a moment afterwards and thank God for such incredible music. How old were you when you started studying voice? Why did you decide to, and did you learn any other instruments? I started piano at age 3 and originally thought that would be my path. I was actually a piano major in college, and I grew up studying violin and French horn. Additionally, I sang in (and accompanied) choirs and musicals, but never actually studied singing until halfway through my sophomore year of college at Bethel College, thanks to my voice teacher, Vicky Garrett. A year and a half later I auditioned for graduate school at the Eastman School of Music for voice and, after I got in, decided to give singing a chance. After graduate school, I have flown every six or so weeks to NYC to study with my voice teacher of the past 11 years, David Jones. Singing is definitely my favorite of all my instruments, but they all influence my singing. When did you decide to pursue a career as a musician? I began college as a Chemistry/Pre-Med/French Horn/Piano major (yes, all four). It was absolutely insane. I had a blast learning so many different things but I was sick every two weeks from lack of rest! After one semester of that, I decided to hone in on music and use medical school as my Plan B. At this point, I think music is where I’ll stay. What type of music did you listen to growing up, and what do you listen to now? I grew up making a lot of music in church, whether contemporary Christian or classical. I also did lots of musicals, so show tunes are practically in my DNA. I grew up in a small town in Indiana of about 3,000 people, that just happens to have an oratorio society, so I grew up singing in Messiah and other oratorios, as well. For growing up somewhat in the middle of nowhere, I was very fortunate to have a multitude of musical experiences. Who’s your favorite composer to listen to? To sing? My favorite composer to listen to, as of late, is Mieczysław Weinberg. His orchestral music, particularly his cello concerto, are sublime. My favorite composer to sing is Verdi, particularly his Requiem. He knew exactly how to write for the bass voice. He elevated basses from silly buffo roles to real, emotional, powerful lyrical singing. I also like to sing songs I’ve written. Then the only person I can blame for writing something difficult is myself! What advice would you give 14-year-old Jared? Your love for music will carry you much further than you can ever imagine. Just keep making music, keep pushing yourself, keep learning, and keep enjoying every note and every step you take along the way. Also, practice SLOWLY! What advice would you give a high schooler who wants to pursue music in college? Study as many instruments as possible! The more well-rounded a musician you are, the greater your palette of expression will be on your (eventual) chosen instrument. It is very easy for me to think orchestrally because I have studied nearly all the instruments in the orchestra. Also, read the book, The Artist’s Way by Julia Cameron. I’ve read it three times and my artistic confidence expands every time. What’s your favorite sound (musical or non-musical), and your least favorite sound? My favorite musical sound is the cello, or anything in D-flat major. Non-musically, I love the sound of water, whether the ocean or a great thunderstorm. My least favorite sound is music sung without any meaning behind it…or snoring (I’m a light sleeper). When you leave this world and reach the pearly gates, what celestial concert do you hope to hear? I’d probably have all the great Wagnerian singers of the past (Birgit Nillson, Hans Hotter, Jon Vickers, etc.) bust out some giant gospel music number with a huge orchestra and choir, and probably some dancers, too, to keep things really exciting! It would be rockin’! What piece on the program are you most excited about? What should audience members listen for? They’re all such beauties, but I’m especially attached to Jennifer Higdon’s Piano Trio. It appeals to musicians because it’s so well-written, and to audiences because it communicates so directly. That’s true of all her work. The Bernstein clarinet sonata is perfect in front of the trio: it’s one of his earliest pieces, and one of his most appealing. He knew the character of instruments, and how to bring that character forth. Copland was one of Bernstein’s mentors, so I like having that connection in the program. Appalachian Spring is, of course, one of the great achievements in American music. It started life as a ballet for Martha Graham, and it really has never been out of the mainstream since. As a pianist, what do you love about chamber music? How is it different from playing in a large symphony or solo? Learning to play the piano is such a solitary pursuit, and pianists don’t generally have large-ensemble experience when we’re young. It’s why I love playing with instrumentalists and singers. I love that shared experience. It’s also why, after 30 years, I still really love orchestral playing. I like being part of a bigger effort. How old were you when you started playing piano? Why did you choose it? Did you learn other instruments? I was 8 when I started, which is about four years late, really. I think it chose me. I’ve never wanted to do anything else. What type of music did you listen to as a kid, and what do you listen to now? I listened to top 40 until midway through high school, and then I suddenly didn’t listen to the radio anymore. Now I do, but to NPR. For music, I listen to singers, mostly. There’s something about the human voice – the immediacy of it, the warmth. You are based in Fort Worth. What would surprise out-of-towners about Fort Worth? I love Fort Worth. I love that, as a city, it gets behind its arts and stays behind them. I love that Forth Worth has a feeling for its history, too. It’s not unusual to hear of humorous stereotypes for certain musicians and their instruments in an orchestra. What’s a typical pianist like? I wonder if there IS a typical pianist! We do practice an awful lot, and most pianists talk about pianos and what goes on under the hood. Who’s your favorite composer to listen to? To play? To listen to: Mozart. That’s perfection. I played him a lot when I was young, and I hope I’ll get back to him when I’m 70 or so. He’s a lot to live up to. For the past 15 years or so, I’ve jumped at every chance to play Messiaen. He’s a real original, and I’m fascinated by him. What’s your favorite sound (musical or non-musical)? Least favorite? My favorite sound is the ocean. My least favorite sounds are sirens of all kinds. Once you leave this world and reach the pearly gates, what celestial concert are you looking forward to? I want to hear Mozart play the piano! 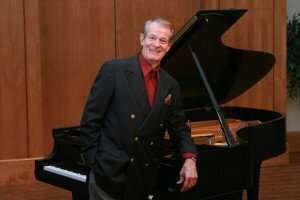 Steinway artist Stephen Nielson headlines Sunday’s Basically Beethoven Festival concert, “Stephen Nielson & Friends,” on July 23. He’ll share the stage with violinist Motoi Takeda, the Associate Concertmaster Emeritus for the Dallas Symphony Orchestra, and with Caroline Nielson. Ms. Nielson is not only an accomplished mezzo-soprano in her own right – she happens to be Mr. Nielson’s daughter! Continue reading to learn about Sunday’s performance and to get to know Mr. Nielson. What piece on the program are you most excited about? The entire program! It is a special treat for me to be on the same concert stage in Dallas with my daughter, Caroline. We’ve purposed to provide the audience with the treat of music for violin/voice/piano, violin/piano, voice/violin, voice/piano – mixing it up, for sure! As a pianist, what do you love about chamber music? 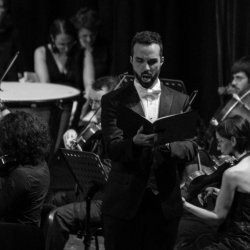 The interaction of the players in an intimate setting; discerning a composer’s weaving of thematic material between the instruments. How old were you when you started playing piano? As I often say: about nine months before I was born, since my mother was a pianist, church musician, and teacher. I demonstrated an early affinity for the piano and never considered other instruments simply because commitment to serious piano study was so consuming. What type of music did you listen to as a child, and what do you listen to now? What type of music did you share with your children when they were growing up? Always classical. On Sunday mornings my father played recordings – LPs, you know! – of the legendary organist E. Power Biggs and the Mormon Tabernacle Choir. Musical education for our two daughters was in place from the beginning. I took our older daughter, Christiana, to her first opera at age 6 – the Dallas Opera’s presentation of Hansel and Gretel. You have been based in Dallas for most of your career. What would surprise out-of-towners about the Dallas area? What’s your “hidden gem” in Dallas? Except for undergraduate and graduate years at Indiana University School of Music and then seven years as Artist-in-Residence at a college in the Chicago area, Dallas has been my “home base.” Out-of-towners are frequently surprised by the richness of the musical offerings and activity in the North Texas area. Hidden gems? Marvelous people and relationships plus fantastic food possibilities forever changing! It’s not unusual to hear of humorous stereotypes for certain musicians and their instruments. What would you say a typical pianist like? There is no typical pianist, I think. Though as a Steinway Artist I play Steinways often, sometimes in out-of-the-way locales that is not possible, and I must adapt to what the sponsor provides. In piano circles, such a piano is sometimes cynically referred to as a “P.S.O.” – piano shaped object. I’ve played my share of those! Who’s your favorite composer to listen to? To play? Difficult to answer on both counts! I like the composer whose music I am preparing for the next concert. I’m probably a romanticist at heart, but am overwhelmed by the mathematical brilliance and symmetry of Bach, the depth of Brahms, and the color of the great Impressionists, Debussy and Ravel. I also love the great choral masterpieces of Bach, Handel, Beethoven, Berlioz, Mahler, Fauré and Duruflé. What’s your favorite sound (musical or non-musical)? Least favorite? Favorite is the sound of Caroline’s voice! Least favorite – the yard crew mowing and blowing just outside my studio windows when I’m practicing or teaching. Once you leave this world and reach the pearly gates, what celestial concert are you looking forward to? Hands down – “Worthy Is the Lamb” from Handel’s Messiah. 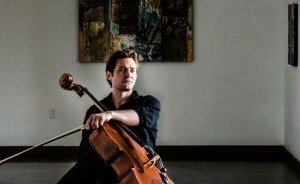 Based in Richardson, cellist Joseph Kuipers is an in-demand international performer, hitting stages in Quebec, Germany, Italy, and closer to home. 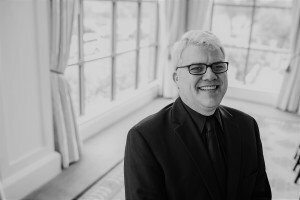 He joins several other local musicians on the Basically Beethoven Festival concert on July 16, “A Spirited Afternoon.” Read below to get to know Mr. Kuipers, and click HERE to watch performance clips. What piece on the program are you most excited about? What should audience members listen for? I must say Tchaikovsky’s Souvenir de Florence – the melodies are truly gorgeous, almost embarrassingly beautiful! 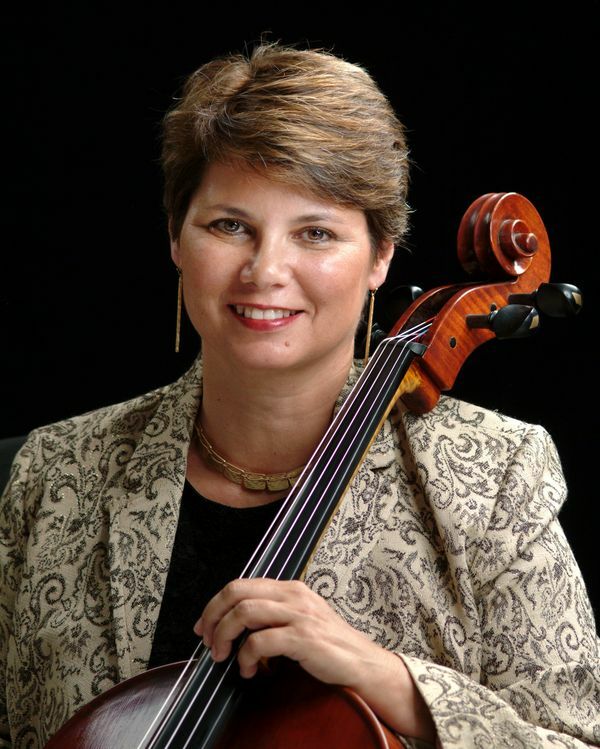 As a cellist, what do you love about chamber music? How is it different from playing in a large symphony or solo? I like to view all music as chamber music – meaning an interaction between musicians! When I play a Bach solo, I see myself as playing trios between the voices all on my cello. In orchestra, I try to breathe and move with the other musicians on stage. That said, in chamber music the cello plays a role of being an individual, yet the foundation of the group with our occasional singing solos grabbing the spotlight. Why did you choose the cello? The sound, of course! There is something so human about the sound of the cello. The range encompasses the rich, dark tones of a bass, through the sensuous tenor and alto range, up to the soaring heights of a soprano. Although, I must admit, my earliest memory of the cello is an old black and white photograph of my grandfather Percival Harding with his cello, and its appearance simply attracted me. I just felt drawn to it, and still have an immediate closeness to everything about the cello. What type of music did you listen to as a kid, and what do you listen to now? I grew up in a religious family, so much of the music were the great old Protestant hymns of the Reformation. That certainly influenced me to be drawn to the pure, early music of Bach, and Gibbons. Later as I studied composition, I went through phases of being obsessed with radically different composers and styles of music. Now I listen to music that makes me feel – music that gives me a heartbeat! From Ivry Gitlis playing Tchaikovsky to Johnny Cash. How long have you lived and performed in Dallas? What would surprise out-of-towners about Dallas? I’ve been based in Dallas since 2012. The cultural scene in Dallas is exploding and draws some of the most brilliant artists of our time! It’s not unusual to hear of humorous stereotypes for certain musicians and their instruments in an orchestra. What’s a typical cellist like? We love beautiful melodies, singing out the sound, and enjoying every note. We also love to socialize and sometimes this is not a good fit for diligent practicing. Who’s your favorite composer to listen to? To play? Who/whatever I am playing at the moment. What’s your favorite sound? Least favorite? Favorite sound would be the harmony of human voices, least favorite is complaining. Once you leave this world and reach the pearly gates, what celestial concert are you looking forward to? I have an imagination of the sound of Archangels singing like the Elves from the “Lord of the Rings” in some otherworldly language, tonality, and sound … where the sound becomes almost visible. That would be my hope to hear! Chloé Trevor travels the world as a solo violinist, and lives her life as an ambassador for the instrument, particularly to young audiences and members of her generation. Ms. Trevor will be joined on stage by pianist Jonathan Tsay for the July 9 Feature Presentation, “Dances & Romances,” opening the 2017 Basically Beethoven Festival. 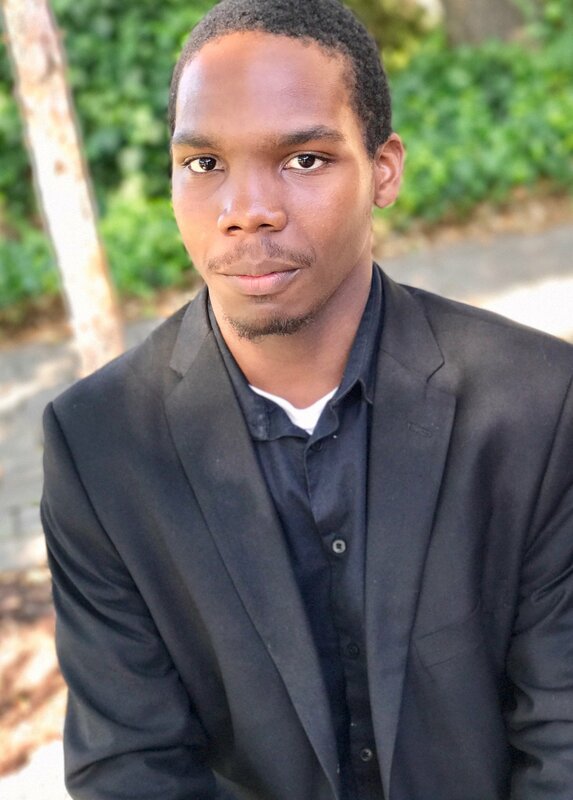 Read below to get to know the artist, and click HERE to sample some audio clips of Ms. Trevor. What piece on the program are you most excited about? What should audience members listen for? I’m most excited for Prokofiev’s four pieces from Romeo and Juliet. Prokofiev is one of my all-time favorite composers and this piece embodies a lot of my favorite musical characteristics of his. There’s a lot of intensity and sardonic wit alongside extremely elegant and heart-rendering melodies. I hope the audience members can pick out different characters from the story as we go through the movements. As a violinist, what do you love about chamber music? How is it different from playing in a large symphony or solo? I love playing chamber music because to me it feels like a combination of playing in a symphony and playing as a soloist at the same time. You can’t quite get that feeling doing anything else — it’s really special, especially when you get to play alongside some of your closest friends. How old were you when you started playing violin? Why did you choose it? Did you learn other instruments? I started playing the violin when I was 2. My parents saw me reaching for my mom’s violin when she would practice and so they eventually found a tiny — but real! — violin for me to play. My mom was my first teacher for the first few years of my studies. I began taking piano lessons when I was 6. What type of music did you listen to as a child, and what do you listen to now? As a kid I listened to classical music, non-stop. Now I listen to classical music, non-stop. It’s what makes me feel the most comfortable and at home. Every so often I might put on some j-pop [Japanese pop music] though. You grew up in the Dallas area. What would surprise visitors about Dallas? What’s your “hidden gem” in Dallas? I’m not sure what would really surprise people about Dallas, except that very few people who live here have Texan accents. At least that’s what people always seem to be surprised about when they find out I’m from Texas! But my “hidden gem” in Dallas would probably be the Bishop Arts District, or some of the many amazing coffee shops such as Mudsmith, Pearl Cup, or 1418 Coffeehouse. I really like coffee. And pie. Go to Emporium Pies! It’s not unusual to hear of humorous stereotypes for certain musicians and their instruments in an orchestra. What’s a typical violinist like? I think a lot of us are very “high-strung.” I know that’s true for me though I combat it as much as possible. We’re also extremely analytical in and out of music, which can be annoying at times (because our brains can’t ever turn off), but does definitely have its benefits — especially when you want to make sure something is done right the first time. Who’s your favorite composer to listen to? To play? Probably Prokofiev and Shostakovich for both. What’s your favorite sound (musical or non-musical)? Least favorite? My favorite sound is rain, and my least favorite is the sound of people chewing. Once you leave this world and reach the pearly gates, what celestial concert are you looking forward to? Definitely a recital by my late violin teacher, Arkady Fomin. 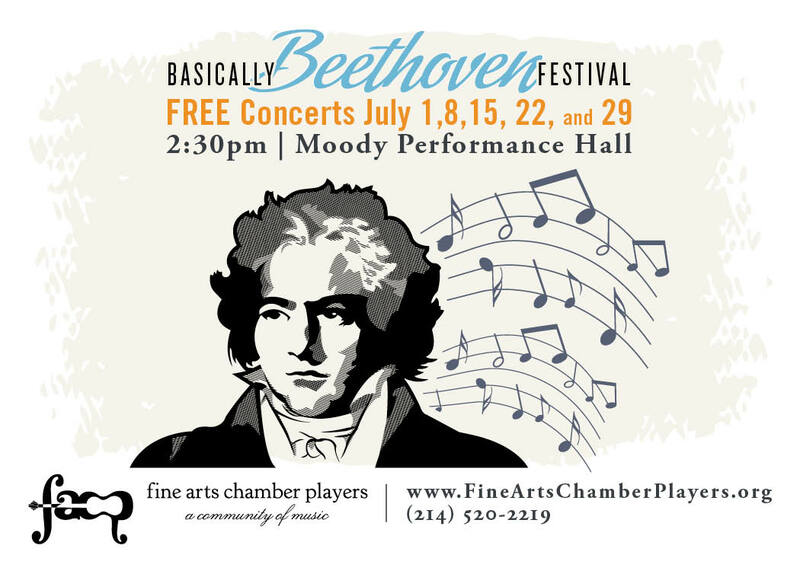 Fine Arts Chamber Players will present the 2017 Basically Beethoven Festival on Sunday afternoons in July. Held at Dallas City Performance Hall in the Dallas Arts District, every program starts with a Rising Star Recital at 2:30 pm followed by a Feature Performance at 3 pm. Rising Star Recitals present local, gifted young musicians; Feature Performances showcase professional musicians from the area. All concerts are FREE. Details on each afternoon can be found HERE. As always, Festival concerts are FREE for all. Paid parking is available in surface lots and garages in the Dallas Arts District. Families with children are welcome. For questions, call 214-520-2219 or email music@fineartschamberplayers.org.